Projects for which auto-cancel is enabled in the Advanced Settings will have workflows on non-default branches cancelled when a newer build is triggered on that same branch. 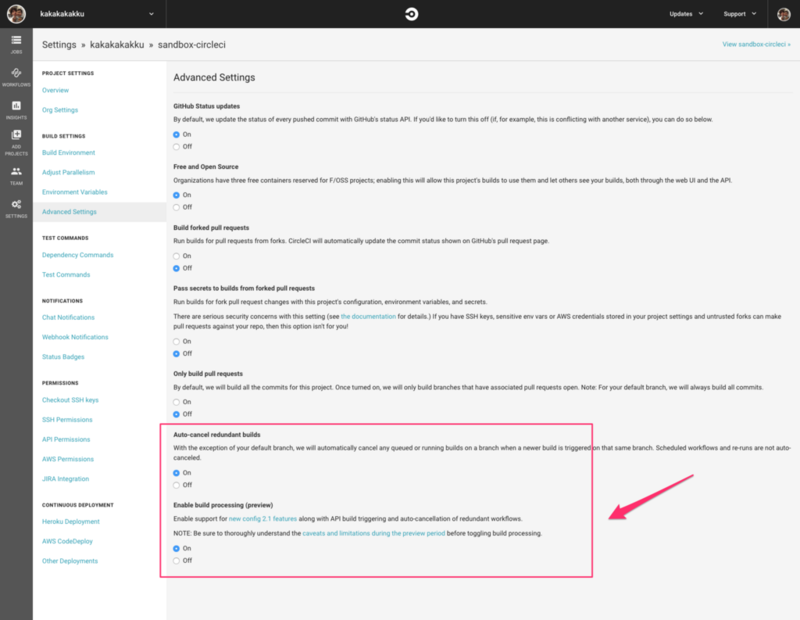 Notes: It is important to carefully consider the impact of enabling the auto-cancel feature, for example, if you have configured automated deployment jobs on non-default branches. Auto-cancelling workflows requires enabling the preview build processing feature.